First, cover your work surface to protect it from paint and roll up your sleeves! Lay a piece of paper on the bottom of your tray/container. 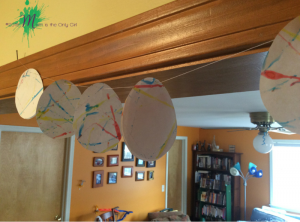 You can use a large piece of cardboard and bend and tape a few inches on each side as well – this is a great way to go big! With this you can use butcher paper as your paint surface and big balls for the painting (see next step). 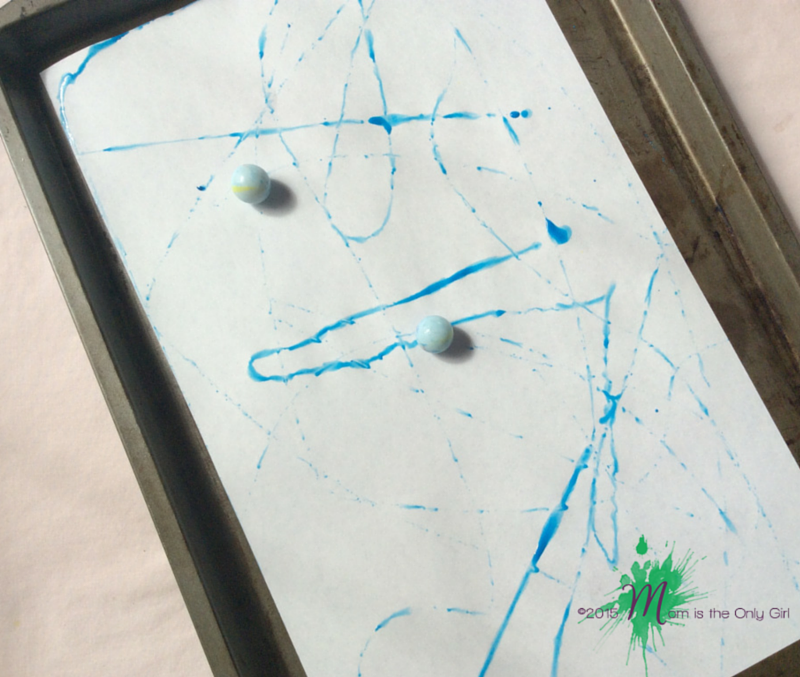 Roll marbles or balls in paint and drop onto your paper. Alternatively, you can drop puddles of paint onto the paper and try to roll your marbles through them. Either way can lead to lots of talk about color combinations! Lift your tray/container and start shifting it back and forth, raising and lowering the sides to make the marbles roll! (With a larger container you may need to practice cooperation having more than one person holding the container!) You should see your design taking shape! To change colors, simply lift out the marble, rinse the paint off, and repeat with another color! 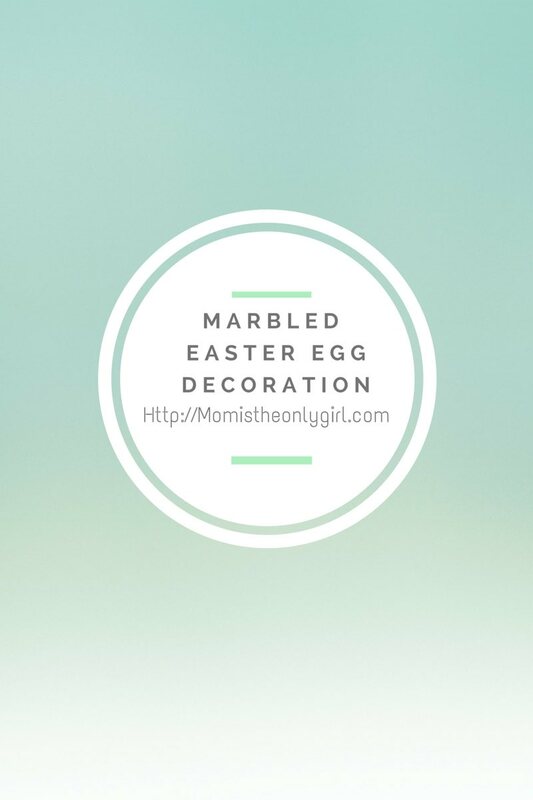 Once you have the desired marble pattern on your paper set it aside to dry, then cut it into the shape of an Easter egg! If you use larger paper you can create larger Easter eggs, or cut more Easter eggs from one sheet! For the youngest ages, doing this in a cake tin that comes from the store with a plastic cover will make things just a tad easier. That plastic cover will help keep the marble from rolling out!